Fiberglass IPE double flange - Saimex s.r.l. Saimex s.r.l. 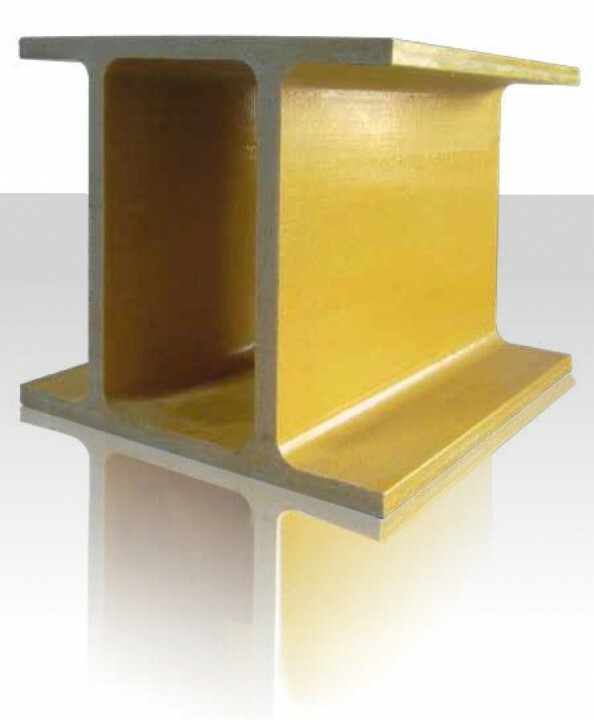 has developed a fiberglass double flange profile based on the results of research and testing.This represents an ideal solution to develop the mechanical characteristics of astructural pultruded profile. This type is suitable for the implementation of structures that support significant loads. IPE double flange is a pultruded profile made in a special fiberglass which ensures a higher performance than a single flange. The “double t” shape improves its elasticity making it stable during torsion and suitable for the support structures in glass facade buildings or as a bridge decking, or for floors or roofs. We have developed the double flange profile that has passed the most scrupulous tests and is part of a complex research and development project to further study composite materials and pultruded profiles to find the solutions that offer greater stability guarantees. The fiberglass pultruded IPE double flange profile developed by Saimex s.r.l. has the same structural and resistance characteristics of the pultruded profiles. Its double flange shape makes it particularly suitable in situations where scaffoldings or structures are required to support significant loads per linear metre. This is why fiberglass IPE double flanges are used in the building sector – to implement the supporting structures of buildings or bridge decking. Saimex team is made up of specialised engineers who will verify if a fiberglass pultruded IPE double flange profile is suitable for your project. We will assist you in all phases, from the designing of the solution that best suits your needs to its implementation. Contact us if you need to more information or if you want to submit your project, our staff is at your disposal.